This is a how to program to help middle school students understand and cope with abrasive students. They learn some simple life strategies for dealing with middle school bullying. They discover they are not alone and are given several effective ways to report bullying without repercussions. 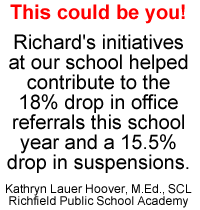 Prior to coming to the middle school Richard will contact a counselor or assistant principal to learn about their current bully prevention programs and discipline policy. During his program he will include the school's themes and discipline policy as an example of what can happen if the student chooses to harass and bully in the school or on the bus. It is a high energy humorous and educational middle school program that mixes real life stories, ventriloquism and humorous audience participation to educate students how to become actively involved and work together as a team to promote positive behavior and prevent bullying. "Mr. Paul did an excellent job supporting, reinforcing and complimenting existing programs. He also added a personal approach that was very unique. His humor and illustrations held the attention of our students. 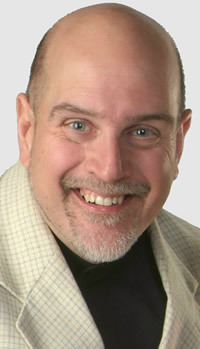 Richard provoked some thoughts and ideas that I will now use in our counseling curriculum." The students will learn the difference between conflict and bullying, different kinds of bullying, the power of understanding, what do if you are a target of a bully, and how to work as a team to stand up and speak up against bullying and aggressive behavior. Through humor, ventriloquism, real life middle school bullying stories and audience participation, students discover having fun at someone else's expense is actually one form of bullying. They come to understand that bullying in school, bullying on the bus, and cyber bullying is wrong and can have lifelong negative effects on both the target and the bully. Richard also shares some information about cyberbullying. Through real life stories and audience interaction the students will learn what it is, and some of the consequences they can expect if they cyberbully another student or faculty member. If you are looking for an extensive cyberbullying program go to Richard's "Think before You Click" all cyberbullying program. 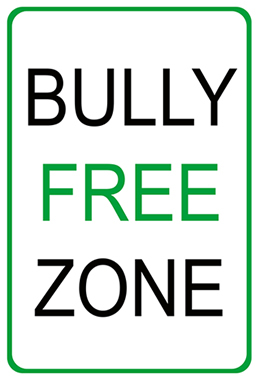 If you are looking for a fun program that just shares what bullying is then this is not the program for your school. 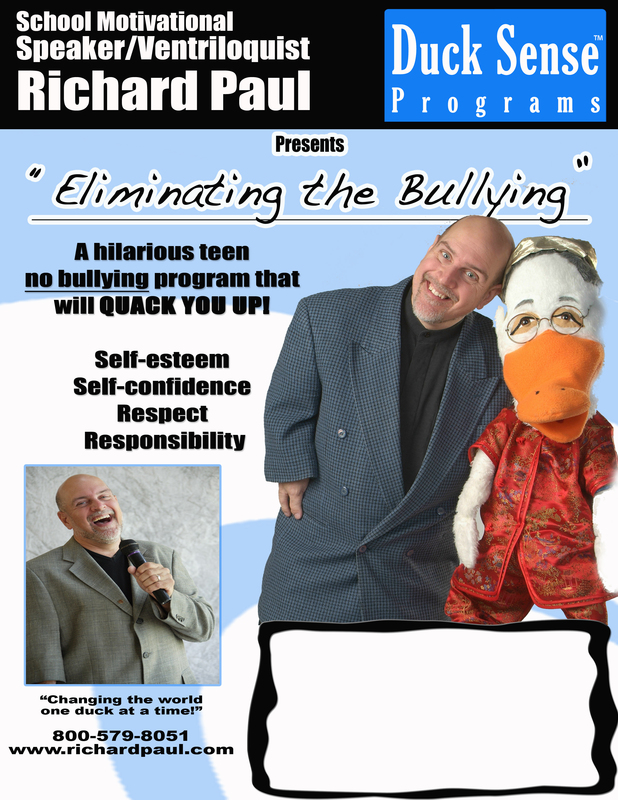 If you are looking for a program that offers up proven strategies to prevent and put an end to bullying, a program that is interactive, humorous but most importantly educational, then this is the middle school stop the bullying program for you.